In some parts of the United States, small local factories supply grocery stores with their tortillas. In this case, store-bought flour tortillas can be every bit as good as homemade ones. 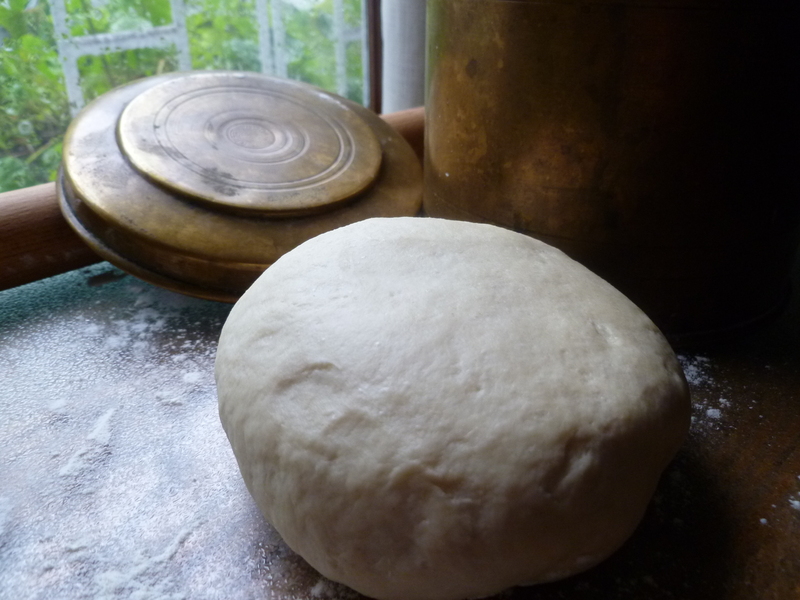 But in other places, the only available tortillas apart from the ones you make in your own kitchen are waxy vacumn-packed discs that are distant relations of the real thing. In the June 1980 issue of Gourmet, a reader by the name of Neal Vinson contributed his recipe for flour tortillas. ‘Homemade’ suggests much time and labor, but Mr. Vinson’s tortillas require neither. 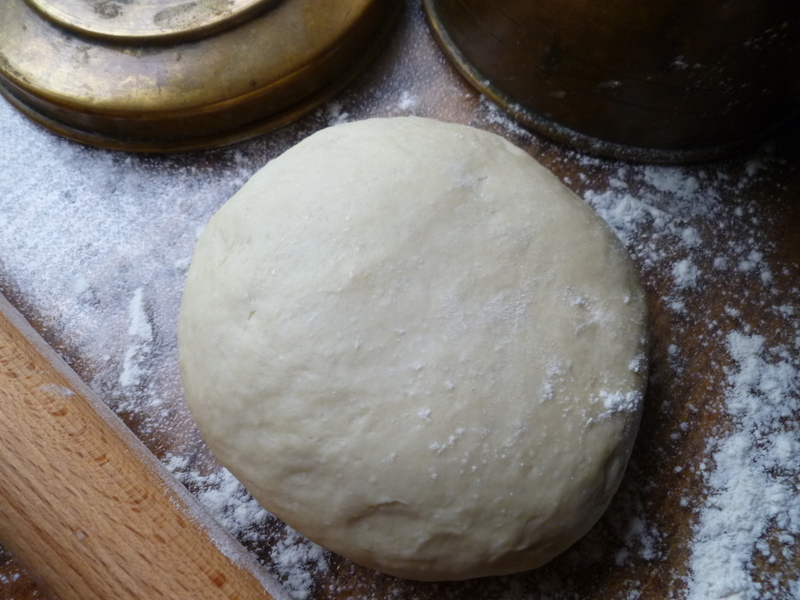 With the help of a food processor, the dough is ready in minutes. 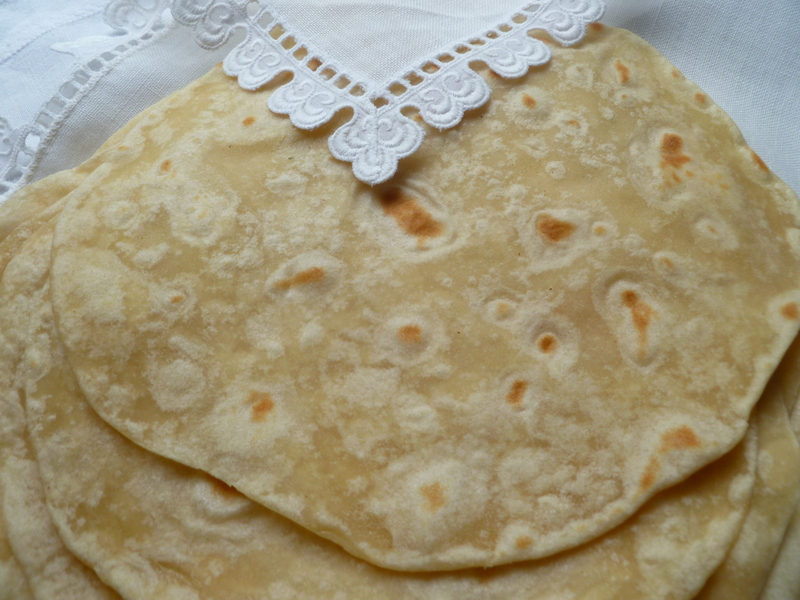 After a little practice, rolling out and baking flour tortillas is equally unproblematic. Making them is a relaxing enterprise. 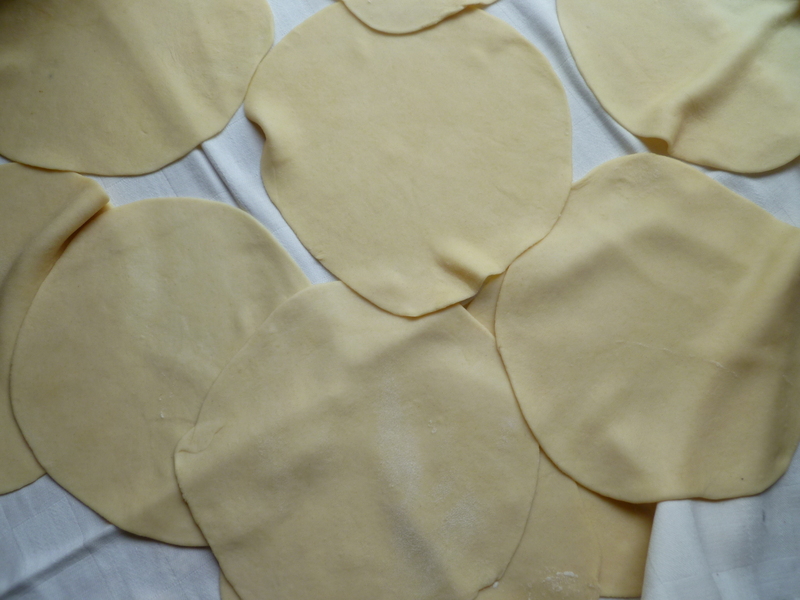 And since the dough is not a difficult one to work with, children may enjoy making a few tortillas out of it, too. 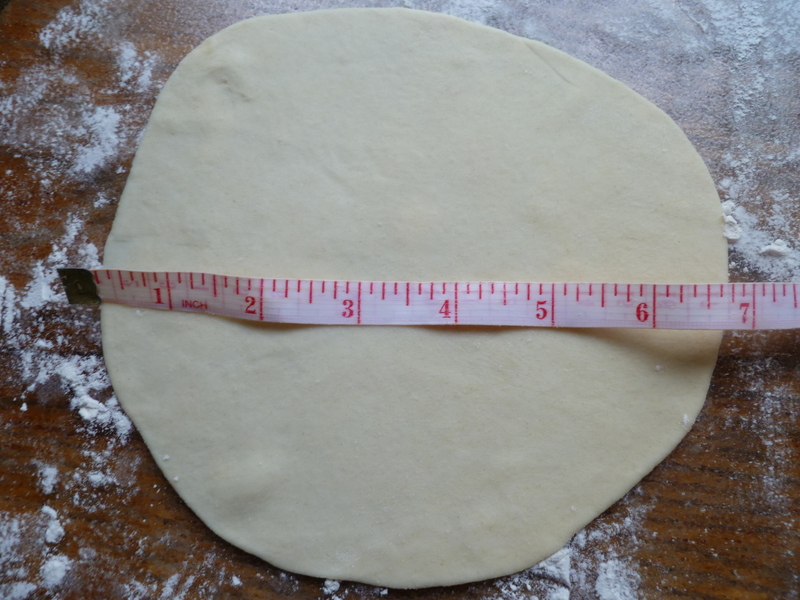 Flour tortillas require some sort of fat in their composition. Mr. Vinson used lard in the original recipe. I have made them with butter, and also with Crisco shortening, and both are good. Lard is traditional and probably would be very fine, too. 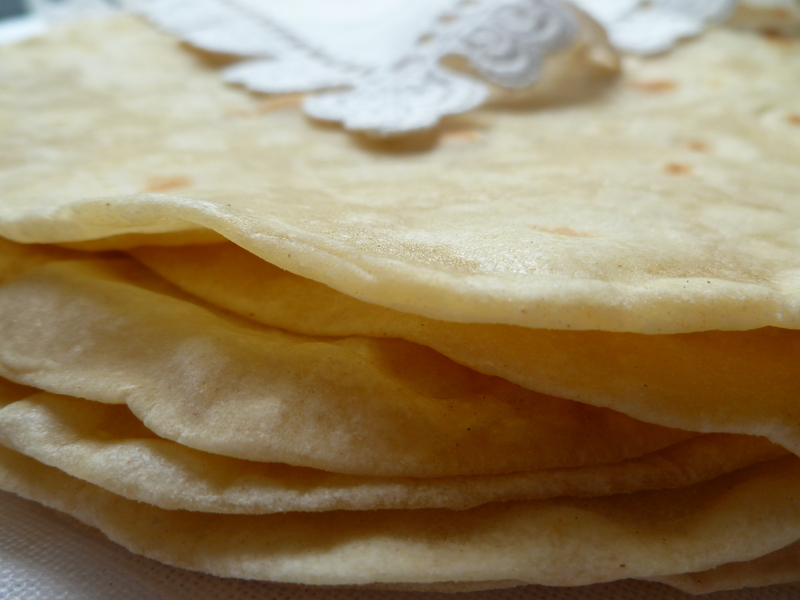 Some recipes use canola oil, which produces tortillas of a very different texture and taste. 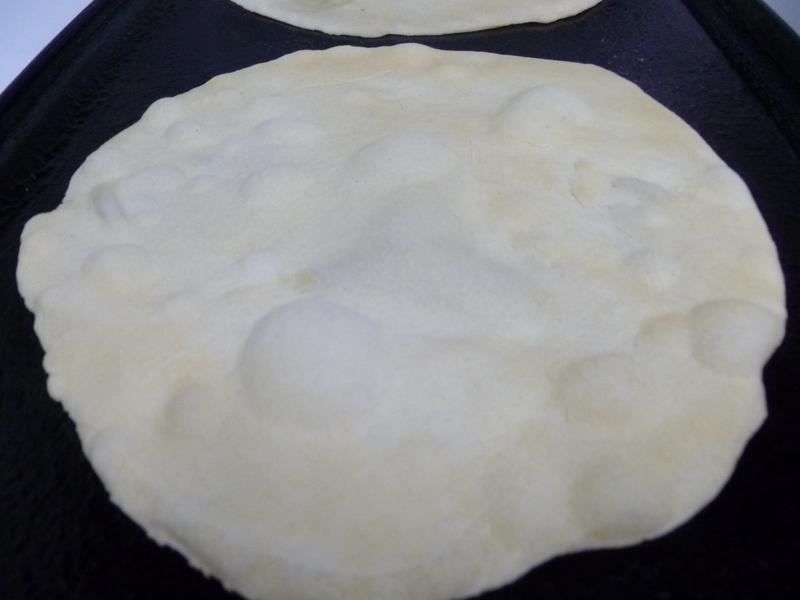 Canola oil tortillas have an enthusiastic following. It’s a question of individual preference. 1. Put the flour, salt and shortening in the processor and blend it using the processor’s sharp blade. 2. When the mixture becomes fine and is well-combined, slowly add 2/3 cup of warm water by pouring it through the tube while the processor is still on. 3. 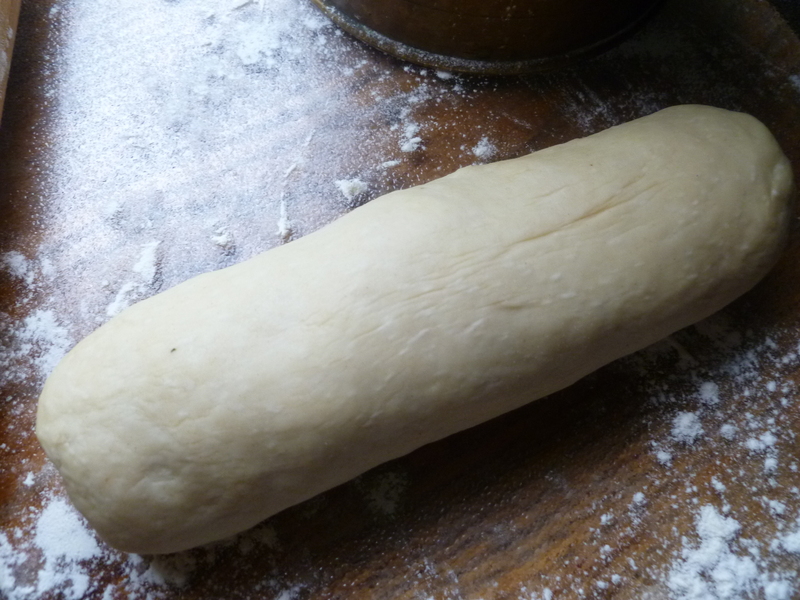 Continue to mix in the processor until the dough pulls away from the sides and forms a ball. 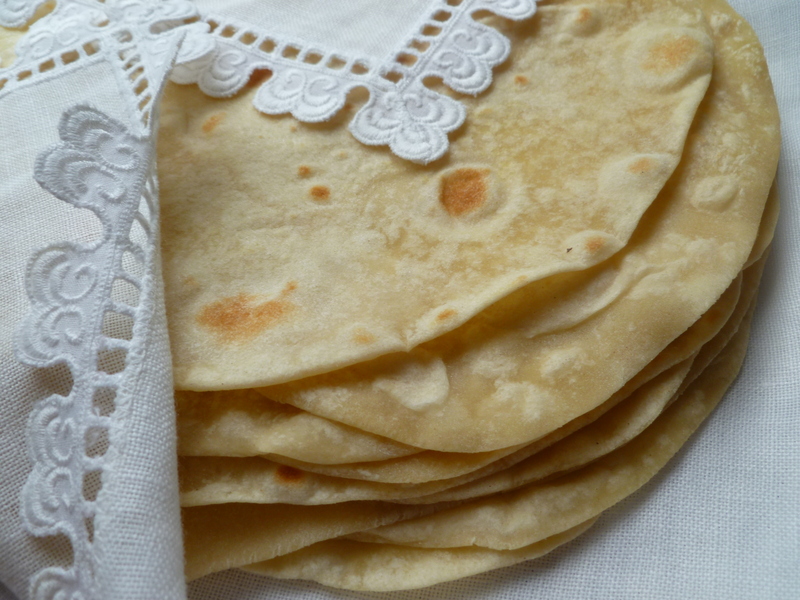 A Note: Fresh flour tortillas may be made in advance and set aside at room temperature. 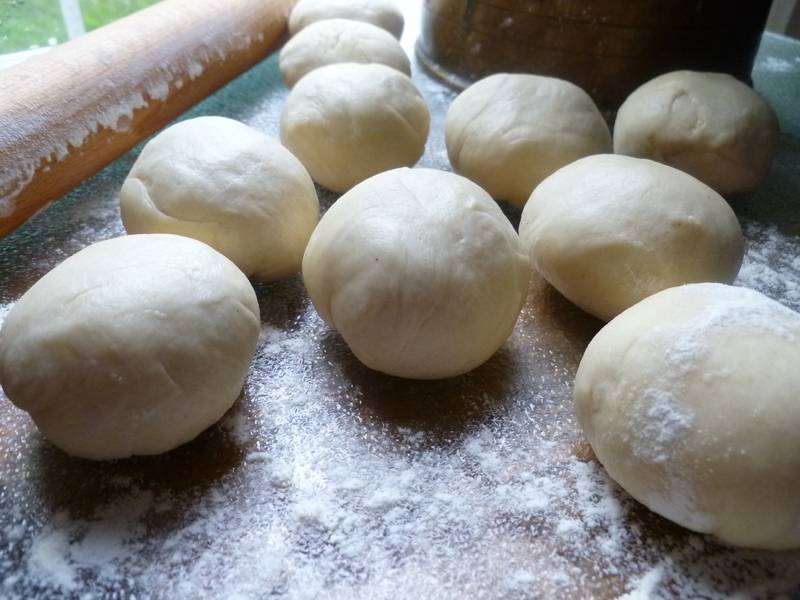 About a half-hour before serving, place them, still wrapped in the cloth, on a baking pan. Wrap the whole in aluminum foil and reheat slowly in a 275 F. oven. Fresh Flour Tortillas are served with the Soup course in the Lunch Menu: Southwestern Elegance. Let me know if you try this version–and how it compares with others you’ve tried. Flawless! There are so many bad recipes out there but this one is on the mark. I am not afraid of lard and that seems to make it. Thankyou for this! You are very welcome…I have usually used vegetable shortening or butter because we have often lived in places where lard wasn’t that easy to come by–but I would never castigate the use of lard in cooking :-).